In this article, we will discuss the best hotel booking websites and their best qualities & features that you can integrate into your booking website, to make it one of the best of it’s kind. With all those inventions and advancement in technology, how easier our lives have become. And of all the innovations, the development of the internet and the online services proved to be a blessing for the modern world. The world is at your fingertips and the physical boundaries have been overcome. For instance, you can find the best restaurant that serves sushi in your locality. Similarly, you can also find the best sushi restaurant in the farthest corner of the world and even book a table for yourself!! Here are the very best hotel booking websites. These sites are a perfect example of elegance, features, and usability. The websites have made it easy for people to find their destinations and book online. so if you are about to start your own online booking engine, you can draw inspiration from the best rated and popular players in your domain. Villa Rental theme is a powerful rental property management system for 2018. Ideal for online accommodation booking from desktop or mobile devices. Villa Rental is an advanced booking theme which can manage one or multiple properties. 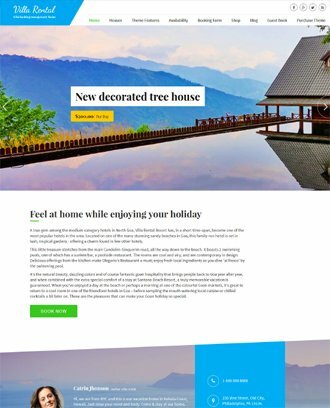 This theme is a very powerful property rentals system. Booking.com is the perfect domain name with complementary purpose. This website can be classified as a listings directory with listings from over the world, it helps people find the destination and places to travel according to their interest areas, and book a place to stay. Bookings.com detects your location (through your IP) and auto -adjusts the language and currency. However, you can change it any time right through the options in the header. This hotel booking website has a simple but logical design. What I like the most about this website is how they’ve never forgotten what the website is for. If it is for online bookings, it makes sure that every single page on their site contributes to booking. To make it easy for the users to find their ideal destination and hotel, there’s this sticky search widget with filters. You key in your choices and the filtered results will be presented. Here are a few features that make it convenient for the visitors to find their ideal stay at their desired location. While you scroll through the page, the sticky search widget will stay at the header to let you key in your details anytime. You can find the best destination, best deals for your travel and much more using all those different search widgets. What makes finding your ideal place easier is the abundant number of filters. You can specify each and every detail that you want – specify your budget, facilities you expect, number of stars, type of lodging (villa, hotel, resorts, etc) and get the results based on your choice. Choose a location, use the filters, and get the list of all the available hotels, resorts, inns, bed and breakfast instantly. You can view the available results and pick up the listing that interests you the most. One of the best featuress that adds to the usability of this website is the ease at which businesses could join it and get their place listed. A hotel owner can join the hotel booking website and start allowing online bookings for his hotel through the best booking platform. With this feature, the visitors get more and more options and the hotel owner gets more opportunities for getting their rooms booked. Booking.com allows visitors to search directly through map. The map shows all the listings of available lodging in the area. So the visitors can just scroll to their destination and zoom in to find out all the available places on the map itself. For those who want to find their destinations and book for their travels from their mobile devices, Booking.com comes with an app. Using the app makes it easy for their users to book anytime, anywhere. 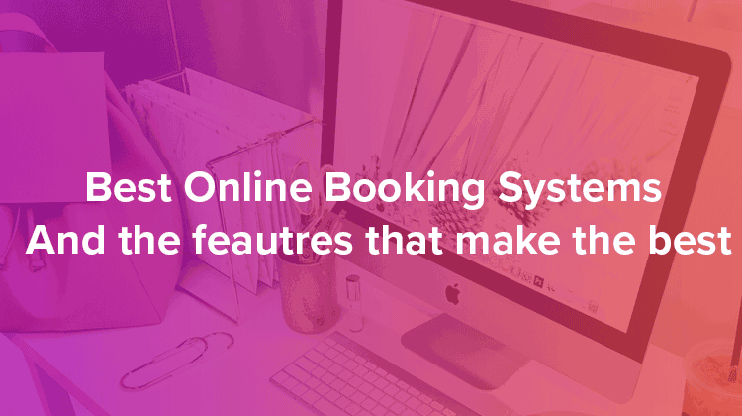 Bookings.com is much more than an ordinary booking website. It intends to help you in every way to find out your perfect vacation destination. AirBnB is yet another where you can find the hotels and accommodation facilities for your desired destination. It has a super-clean and beautiful design. The listings page will show the list of all the places on one side, while the other half of the webpage will be occupied by the maps showing the listing’s exact location. This style is quite popular and convenient for the users. 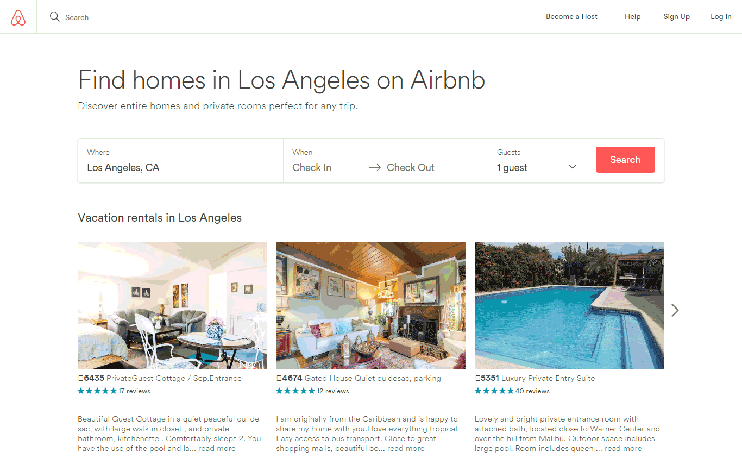 Following AirBnb many websites adapted this practice to display the listings for a particular place. 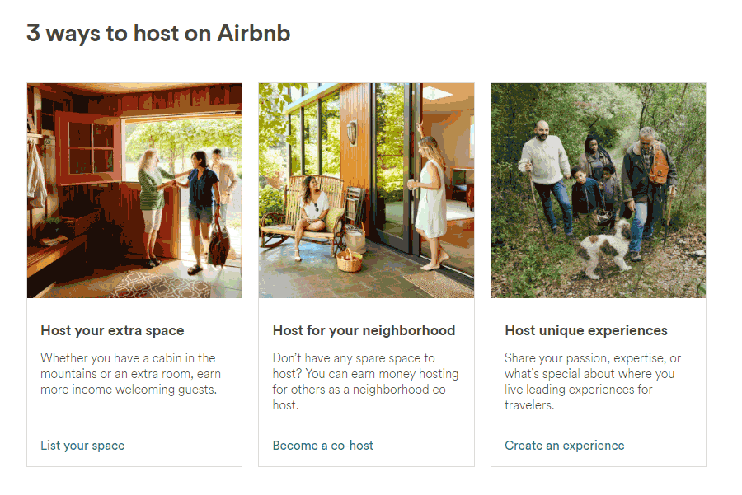 AirBnb is basically a directory website that allows bookings. When you choose an accommodation facility and open its page, you surely will get the most comprehensive details about it. Like any other popular booking system, AirBnb knows that it is very easy to make it easy for your users to find their listings. You can use the filters and enter the destination and the check in and check out dates to get the relevant results. Each and every listing on Airbnb is detailed. With all the amenities listed, the visitors can decide if the place is suitable for them. They can even send inquiry to the owner and ask questions to resolve their confusions. You can host your place on Airbnb easily and get listed on one of the most popular booking engine. It is a way to attract more customers and make the people aware, by showcasing the features, locations and facilities you provide. This website automatically detects your language and currency, and also allows you to manually change it if you want to. This gives the website users a unique and personalized experience. It is always good to drive an extra mile for the convenience of the users and Airbnb does that. 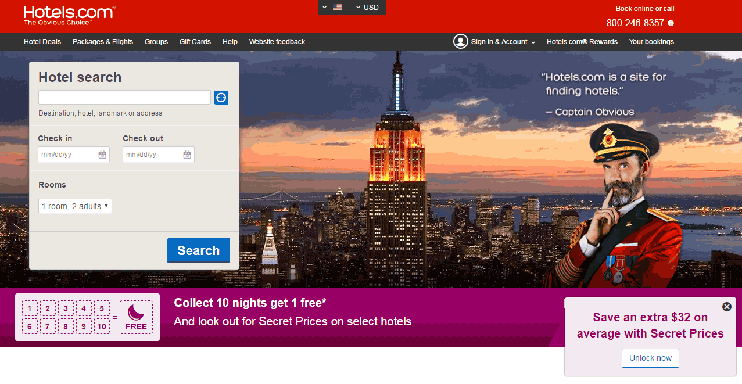 Hotels.com is probably the largest network of hotels. So if you are going on a trip and want to book your hotel room online, you should visit this site to find your hotel and book it. The homepage of the website has the search widget that allows the visitors to type in their destination and the check in – check out dates, and perform the search to find out the ideal accommodation facility. It too, auto-detects the location and currency, that can be changed as per your requirements. The website allows the visitors to choose the type of accommodation for your stay. You can choose if you want to look for hotels, bed and breakfasts, apartments, hostels, etc. So the results will be filtered based on your choice. For instance, if a user wants to stay in a hotel, then why see the bed and breakfasts while searching. This website too provides all the necessary details about the hotels so the visitors can be assured of the amenities before they book. Besides this, the website now also allows to search for holiday packages and flight offers. It also keeps the visitors excited with exclusive deals on hotel booking. The scope of expedia.com is wider than any of the one’s we mentioned above. This website is dedicated to help with any of your travel expedition. It does a lot more than just accommodation bookings. You can search flights, hotels, car rentals and holiday activities on Expedia and book for the same. Expedia has one of the most descriptive listing detail page formats. It is guaranteed that the visitors find all the details at one stop. It even lets the users get in touch with the owner to send inquiries. If you want a car rental service to pick you up when you reach the destination, you can book that too with the online services of expedia. Book flights online to fly to your place at the perfect date. Expedia provides you with a list of the best flight offers when you enter your location and destination. It compares the price of the hotels and lets you select the best deal for you. It compares the price of the same room available at different websites at a different price, so that the visitors can choose the best from among them. The basic idea of Trivago is to let you find your ideal accommodation at the lowest price. It therefore assures that the visitors only get the best deals. The thing here is Trivago compares the listings and price from different website, the booking won’t be processed by Trivago. When the visitor finds the best deal to book his hotel and proceeds for booking, he will be navigated to the booking website and the booking will be processed by the website that the user selected. For the users trying to find out the best websites to book their hotels online, these 5 are the world’s best and secure websites to do so. For the people trying to start their own online booking system, here are ideal websites to learn from. These websites have been around for a long time and know how to sustain the business while providing the best features and ease of use to the users. You can learn a lot from them. Want to start with your own online booking business? Read this to find out the easiest alternative.